Canada, the land of rising opportunities welcomes good number of skilled immigrants who wish to live and work in the country. The country is looking forward for skilled professionals who can address the chronic skill shortages in Canada. Thus, with the intention to help Canada in meeting its regional needs, the Citizenship and Immigration Canada (CIC) is set to launch an electronic system entitled as 'Express Entry'. The newly announced Express Entry system will be launched on 1 January 2015. Express Entry manages applications under various skilled immigration programs such as Federal Skilled Worker Program, Canadian Experience Class, Federal Skilled Trades Program and a portion of the Provincial Nominee Programs (PNPs). Under the Express Entry system, people who fulfill the criteria in any of the immigration programs will be placed in a pool, from where Canadian government or territorial or provincial government and employers can pick the qualified candidates where the native skilled employees are not available. Only the candidates with the highest scores are granted with the Invitation to Apply (ITA)., points are awarded based on the aspects such as valid job offer, provincial or territorial nomination, skills and experience.A valid job offer sponsored by Labor Market Impact Assessment (LMIA) employer gives additional points. Potential candidates holding job offer or nomination from a province /territory need not require to get registered with Job Bank. Job Bank and Express Entry acts as a bridge between employers and skilled overseas nationals. Initially, an employer in Canada must make several efforts to find a permanent resident or Canadian to fill in the available job vacancies. In majority of cases, employers who would like to recruit overseas national should enroll themselves with Employment and Social Development Canada's (ESDC) Job Bank to post their employment ads for a 30-day period. If the required Canadian or permanent resident is not found then they can extend their job ads to foreign nationals. If an employer in Canada found the required qualified overseas national, then they can apply for a Labor Market Impact Assessment (LMIA). However, employer should apply for LMIA to recruit an overseas national. ESDC will evaluate all LMIA applications. In several cases, employers need a positive LMIA to make a job offer to an overseas national under Express Entry. If the employer finds that the candidate fulfills the requirements, then they can recruit the candidate by offering them a job. Employers with a positive LMIA will provide the required information along with a job offer letter to the candidate to include it in their Express Entry profile. This will help individuals acquire the Invitation to Apply (ITA) more quickly, which enables them to lodge the application for permanent residence in the next eligible draw. Job Bank enables Express Entry applicants to explore jobs and they can sign up with Job Bank to view jobs that are relevant to their skill set and qualifications. Later in 2015, Job Bank will begin making matches between eligible Canadian employers and Express Entry candidates given the job have been advertised to native individuals for one month or long. Whenever a job is advertised on the job bank the employer continues to match the profiles of the permanent resident and Canadian jobseekers with advertised job. Matches would be made based on the employer's job lists and candidate's knowledge, skills, and experience. And sometimes the Express Entry candidates profile could match more than one employer if their skill set matches the requirements of more than one job description. So, to get noticed by Canadian employers one needs to register and present themselves in an effective manner at Canada's Job Bank, which itself is a big challenge for prospective job seekers. Here, comes the role of Jobsog, which plays a key role to help you register with the Job bank. With the intention to help guide prospective job seekers, Jobsog has made its debut and marked a strong footprint in the industry by offering outstanding overseas job assistance. Armed with certified professionals, our services cater to the specific needs of the individuals and help them to realize their dream of getting a job abroad. Our tailor-made services made us stand apart from the crowd. How Jobsog will assist you with Canada's Job Bank? When it comes to Express Entry, registering with Job Bank is the most important step that lands you in your dream job. Job Bank is a place where Canadian employers list all the available jobs where skilled professionals with suitable skills and qualifications will be picked by the employers. So, it is very important for you to create your profile in an impressive way that will grab attention of employers. Here, you can seek the assistance of Jobsog, which makes your profile more attractive and appealing. Owning highest success rate in this domain, we know what works with recruiters and what does not, which itself makes a big difference. We offer a wide range of services to prospective job seekers such as resume writing & optimization services, international cover letter, one on one communication, and visual resume services. We study your profile and build your resume that emphasizes your key skills, qualifications and other criteria. 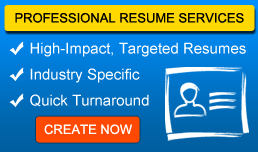 Our services don't end with creating a decent profile but we also offer finest resume optimization services to make your profile noticed by the Canadian employers. Also, a team of Research Professionals and Relationship Officers that use extensive search criteria to match Employers for applicants. We will update you with all the relevant job opportunities and help you grab the right opportunity at a faster pace. We take the responsibility of presenting your profile in the most effective manner and make sure that no stone is left unturned. On a final note, Jobsog will assist candidates in enrolling at Canada's job bank and strives hard to brighten your chances of getting a job in Canada.